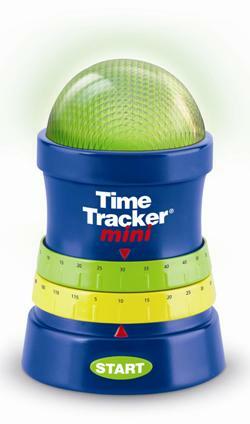 We love this small, easy to program Time Tracker Mini! It’s a simple visual and auditory timer that has 360 degree viewing so it’s great for anywhere, in the classroom or at home. There are two simple dials: one for a total alarm time and one for the amount of warning time you’d like given before time is up. The timer turns green, yellow, then red as it counts down. The total alarm time can be set anywhere from 5 minutes to 2 hours in 5-minute increments. Save 15% on the Time Tracker Mini this week only by entering the Promo Code BLOGTTM2 at checkout. *Offer expires on December 6, 2011 at 11:59 pm EST. Not compatible with any other offer. Be sure there are no spaces after the Promo Code when you enter it at checkout. Written by: Different Roads to Learning on November 29, 2011. This entry was posted in Difflearn Promo Code, Pick of the Week, Products, Resources, Sale, Transitions and tagged ABA, Applied Behavior Analysis, autism education, Different Roads to Learning, prompts, Resources, schedules, teaching tools, timers, transitions, visual cues, visual supports by Different Roads to Learning. Bookmark the permalink.